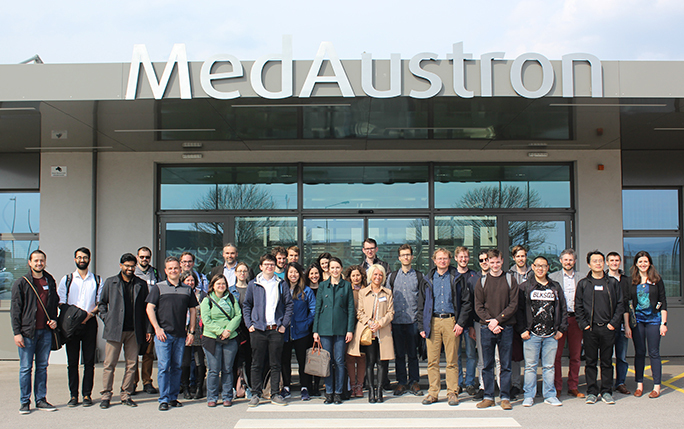 Members of the Cockcroft Institute, together with medical experts, research Fellows and PhD students from across Europe and beyond, took part in the Advanced School on Medical Accelerators and Particle Therapy at TU Vienna in Vienna, Austria between 1-5 April 2019. The school was organised by the OMA network, which is coordinated by experts of the Cockcroft Institute, together with MedAustron, and covered the latest developments across the entire range of particle therapy technology and research, building on material delivered in the first OMA research school on Medical Accelerators. 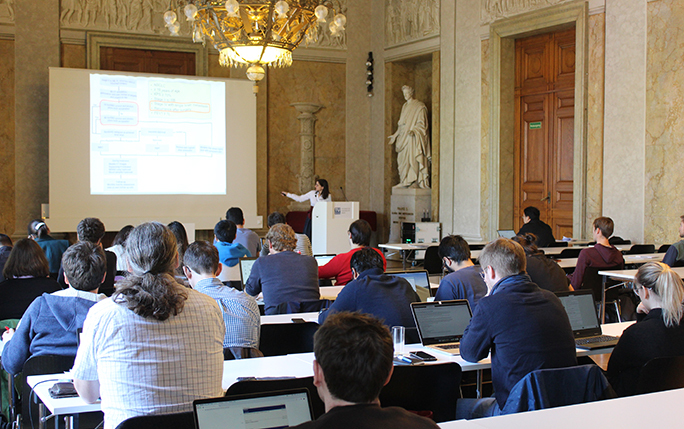 Advanced School on Medical Accelerators and Particle Therapy at TU Vienna in Vienna, Austria. The lecturers, including specialists from MedAustron and external experts in the field, spoke on topics ranging from state-of-the-art treatment modalities to radiobiology and medical imaging. The participants had the opportunity to ask the experts in-depth questions, benefiting from their knowledge and experience. A public outreach talk on ion beam therapy was delivered by MedAustron clinical expert Dr Carola Lütgendorf-Caucig at TU Vienna on Tuesday evening. The talk was well received by the audience of members of the general public and University students, who had the opportunity to hear about this cutting edge cancer treatment method now available on their doorstep. Participants at the OMA school. On Wednesday, the school participants visited the main MedAustron campus and toured the accelerator and clinical facilities, including the accelerator injector hall and proton gantry. The gantry is currently under construction and will treat patients in future years. The tour highlighted the major infrastructure that goes into particle therapy facilities and why research into the field is so crucial. Participants also had the opportunity to showcase their own research results during a organised poster session on Thursday afternoon. A special seminar talk on Novel Accelerators by Dr Andreas Doepp from LMU Munich completed the programme.